A qualifying special needs trust is a trust established under the Will of a well spouse for the benefit of an ill spouse. This type of trust must be testamentary (that is, it must be established through a probate) in order to achieve its benefits of asset protection for your surviving spouse. Assets that flow into a testamentary special needs trust will not be considered resources for government programs of financial assistance, such as Medicaid. 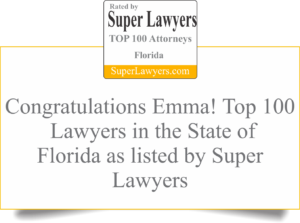 If you have a spouse that is suffering from a physically-disabling illness (Parkinsons, stroke) or mental impairment (dementia, Alzheimers), then you are given this special opportunity under federal and Florida law. If you predecease your ill spouse, you will be able to protect an unlimited amount of assets for the benefit of your spouse while allowing your spouse immediate Medicaid eligibility.